Falkmanite: Mineral information, data and localities. 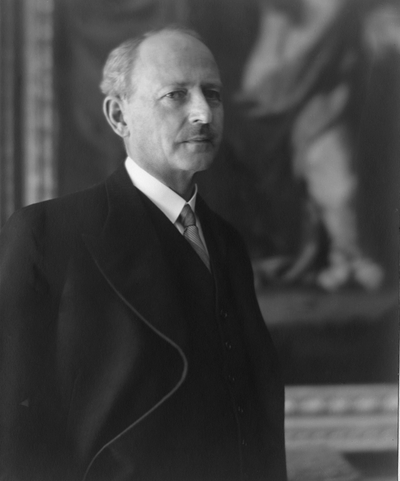 Named in honor of Oscar Carl August Falkman (25 December 1877, Stockholm, Sweden - 10 July 1961, Stockholm, Sweden), General director of the Bolidens Gruvaktiebolag. 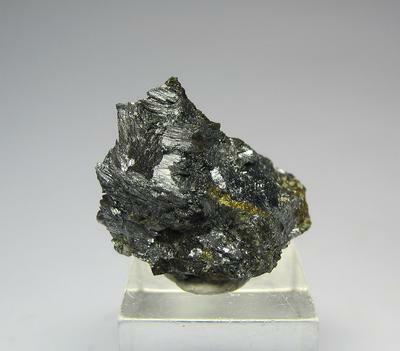 A mineral closely related to boulangerite, or possibly only a lead-rich variety of the latter. Although the IMA currently considers falkmanite as a grandfathered species, an IMA Commission report (Moëlo et al., 2008) is undecided on the status and concludes that "A solution of the crystal structure of falkmanite is necessary for its definite classification." According to Schultz et al. (2017), "falkmanite" is boulangerite. 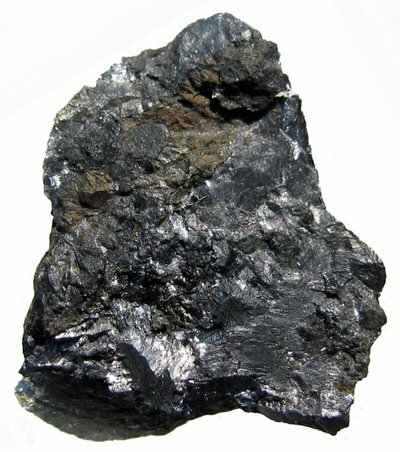 Originally described from Bayerland Mine, Pfaffenreuth, Waldsassen, Oberpfälzer Wald, Upper Palatinate, Bavaria, Germany. Hiller, J.E. (1939) Kürzere Originalmitteilungen und Notizen. Über den Falkmanit. Zeitschrift für Kristallographie: 102: 138-142. Ramdohr, P., Ödman, O. (1940) Falkmanit, ein neues Bleispieβglanzerz, und sein Vorkommen, besonders in Boliden und Grube Bayerland. (Mit einem Beitrag zur Kenntnis des Geokronits). Neues Jahrbuch für Mineralogie, Geologie und Palaontologie: A75: 315-350. Foshag, W.F. (1940) New mineral names. American Mineralogist: 25: 312-314. Robinson, S.C. (1948) The identity of falkmanite and yenerite with boulangerite. American Mineralogist: 33: 716-723. Fleischer, M. (1949) New mineral names. American Mineralogist: 34: 339-339. Hiller, J.E. (1955) Falkmanite and its distinction from boulangerite. Neues Jahrbuch für Mineralogie, Monatshefte: 1955: 1-10. Mozgova, N.N., Bortnikov, N.S., Tsepin, A.I., Borodaev, Yu.S., Vrublevskaya, S.V., Vyal'sov, L.N., Kuz'mina, O.V., Sivtsov, A.V. (1983) Falkmanite, Pb5.4Sb3.6S11, new data and relationship with sulfantimonites of lead (re-examination of type material from Bayerland Mine, Bavaria). Neues Jahrbuch für Mineralogie, Abhandlungen: 147: 80-98. McQueen, K.G. (1987) A second occurrence of falkmanite: Pinnacles Mine, Broken Hill, New South Wales. Canadian Mineralogist: 25: 15-19. Jambor, J.L. (1988) New mineral names. American Mineralogist: 73: 666-667. Neues Jahrbuch für Mineralogie, Monatshefte (1989): 498-512. Pruseth, K.L., Mishra, B., Bernhardt, H.J. (1997) Phase relations in the Cu2S-PbS-Sb2S3 system: an experimental appraisal and application to natural polymetallic sulfide ores. Economic Geology: 92: 720-732. Pruseth, K.L., Mishra, B., Bernhardt, H.-J. (2001) The minerals boulangerite, falkmanite and Cu-free meneghinite: synthesis, new powder diffraction data and stability relations. European Journal of Mineralogy: 13: 411-419. Moëlo, Y., Makovicky, E., Mozgova, N.N., Jambor, J.L., Cook, N., Pring, A., Paar, W., Nickel, E.H., Graeser, S., Karup-Møller, S., Balić-Žunić, T., Mumme, W.G., Vurro, F., Topa, D., Bindi, L., Bente, K., Shimizu, M. (2008) Sulfosalt systematics: a review. Report of the sulfosalt sub-committee of the IMA Commission on Ore Mineralogy. European Journal of Mineralogy: 20: 7-46. Schultz, P., Nietschke, F., Wagner, G., Eikemeier, C., Eisenburger, L., Oeckler, O. (2017): The crystal structures of Pb5Sb4S11 (Boulangerite) – a phase transition explains seemingly contradictory structure models. Zeitschrift für Allgemeine und Anorganische Chemie 643, 1531-1542. McQueen, Kenneth G. (1987): A second occurrence of falkmanite: Pinnacles Mine, Broken Hill, New South Wales. Canadian Mineralogist 25, 15-19; Econ Geol (1994) 89: 778-790; McQueen, K. G. (1987). A Second Occurrence of Falkmanite: Pinnacles Mine, Broken Hill. New South Wales. The Canadian Mineralogist, 25(1), 15-19. Janković, S.R. (1993): Metallogenic features of the Alšar epithermal Sb-As-Tl-Au deposit (The Serbo-Macedonian metallogenic province). Neues Jahrbuch für Mineralogie, Abhandlungen 166, 25-41.